Cutting calories is necessary for weight loss. There are numerous ways to do this, but some prefer to follow a straight-forward low calorie diet. One of the more popular choices is called the 1,200 calorie diet… But it’s not something you just simply jump into head first. 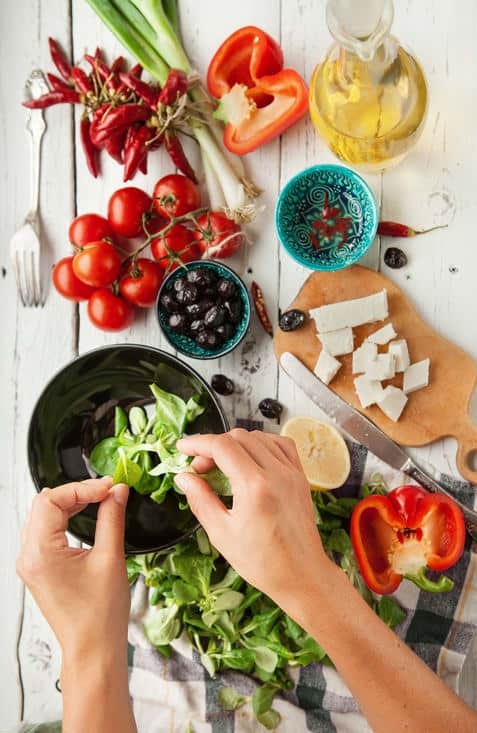 This article reviews everything you need to know before getting started, including a sample 1200 calorie meal plan and considerations for those with diabetes. Who Needs a 1200 Calorie Diet? Who Should Avoid The 1,200 Calorie Diet? Should I Try the 1200 Calorie Diet? A 1,200 calorie diet is a plan that restricts food intake, creating a calorie deficit to promote weight loss. 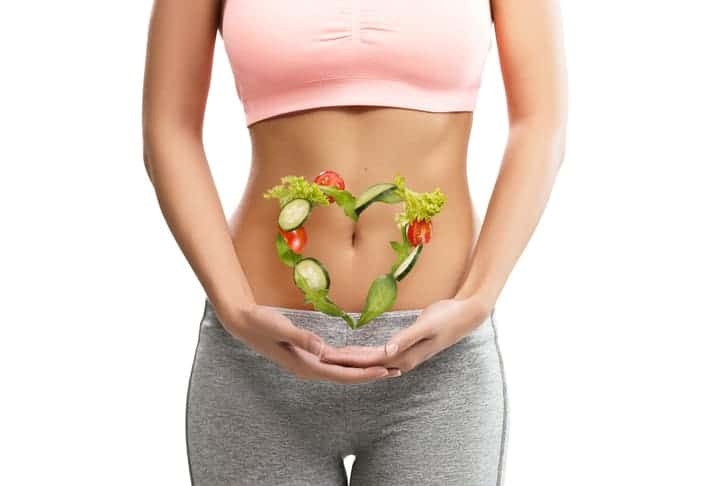 Unlike other diet strategies that focus on a particular food group (such as the ketogenic diet cutting carbs or the 3-day military diet which cuts several foods), there are no specific modifications for the 1,200 calorie diet. Overall quantity is limited in whatever way is easiest for you. Given the average woman requires 2100 calories to maintain a healthy weight, the 1,200 calorie diet should be a sizeable yet manageable caloric deficit for most. That said, eating 1,200 calories may mean a mild reduction in calorie intake for some, yet quite drastic and unhealthy for others. It simply depends on your current calorie intake as well as your metabolic rate. To find your current metabolic rate, use this equation. For instance, a smaller, sedentary postmenopausal woman may only require 1,500 calories to maintain her current weight. Restricting to 1,200 calories may produce mild weight loss. Meanwhile, a larger, active young man may require 2,500 calories to maintain his current weight. This means, restricting to 1,200 calories would cut his food intake by over 50%. So, while restricting calories to 1,200 will help you lose weight, the rate and sustainability of this diet depends on individual characteristics like age, gender, activity level and health status. Summary: Eating 1,200 calories per day is a a common weight-loss strategy. Following this plan can be moderate for some and drastic for others. Not all individuals require this degree of calorie restriction. Calorie counting is a common strategy for successful weight loss. 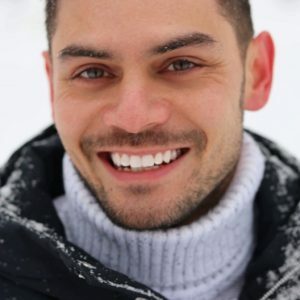 Studies show that those who calorie count, work with a dietitian and use behavior change techniques lose more weight than with other types of weight-loss strategies (1). 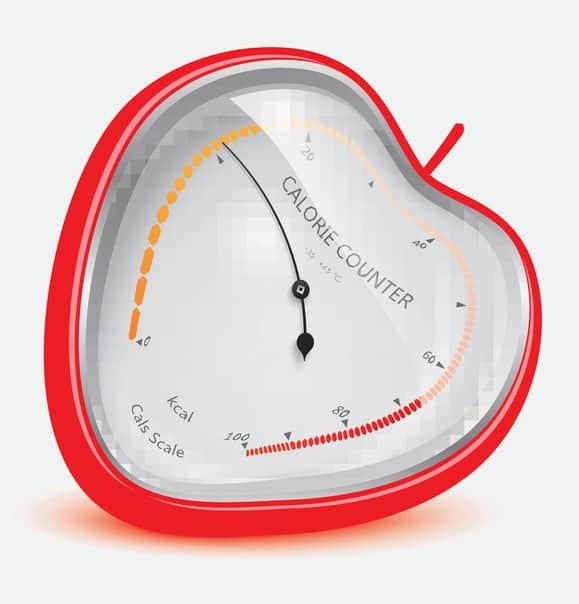 Calorie counting specifically makes you more aware of food choices, portion sizes and their total calorie contribution. By keeping record of calories consumed throughout the day, you’ll have more self-awareness and improved diet flexibility. When you become familiar with the amount of calories in the foods you typically consume, it’s easier to manage your daily calorie budget and make simple tweaks to your food choices and portion sizes. Then your salad totals 585 calories. You may decide to also have a slice of whole wheat bread (90 calories) and a bottle of kombucha (60 calories). Now you’re at 735 calories. If your daily calorie budget is 1,200, you may want to make some tweaks to your lunch so that you have more calories to spare for other meals. By removing items or cutting back on portions, you can easily turn that into a 350-calorie lunch. Of course, calorie counting requires dedicated time and effort. Over time, tracking every morsel of food and drink you consume feels downright exhausting and stressful. Fortunately, you only have to do it for 3-4 days to get a solid idea of your usual intake. I definitely encourage calorie counting over a short period of time if you want to lose weight. Summary: Calorie counting helps improve food and portion awareness. It allows you to have flexibility with your daily calorie budget. However, using it long-term is tedious and stressful so I only recommend if for 3-4 days. Following a low calorie diet can spark hunger, so it’s important to know useful strategies to stay on track. Plan meals ahead of time: Plan out how many meals and snacks is appropriate for you to consume each day. Be sure to stick to that schedule. Choose an eating pattern that supports your hunger levels. If you’re hungrier in the morning, eat more calories at that time. If you need an extra snack after the gym, limiting snacking at other times of the day. Include lean protein choices with each meal. Examples include turkey, chicken, crab, shrimp, tilapia, beans, lentils, tofu and whey protein powder. Load up on non-starchy veggies throughout the day. This includes leafy greens, broccoli, cauliflower, cucumbers, string beans, eggplant, asparagus, etc. These are rich in fiber and water, which help you feel full. Use volumetrics to your advantage. This strategy has you eating high volume but lower calorie foods to help fill up. Examples include popcorn, rice cakes, edamame, zoodles (zucchini noodles), Cheerios and watermelon. Avoid drinking your calories. However, when you feel hungry sip on zero- or low-calorie beverages. Here’s a list of options at under 40 calories per bottle. Snack on low- or non-fat dairy products. This includes yogurt, cheese and whey protein shakes. Chop up fruits and veggies in unique ways. This technique helps you feel like you have more food in front of you. Thinly slice apples, make jicama into long matchsticks, or shred beets and toss on a salad. Steam veggies rather than roast or stir fry. This reduces extra oil and calories. Start a meal with a broth-based soup. Add non-starchy veggies to help fill up the stomach. Order salads with vinegar or lemon/lime for dressing. Avoid all fried foods, including tempura-battered sushi. Avoid/limit alcoholic beverages. Instead, order soda water with a lemon or lime. Ask for steamed vegetables without any sauce. Look up restaurant menus before you go. Most will report their calorie counts online. Ask for all sauces on the side. Avoid the bread or chip basket at the start of a meal. Order a garden salad or vegetable/broth-based soup instead. Summary: Have strategies in place to avoid feeling overly hungry when following a 1,200 calorie diet. Stock up on low-calorie food options at home. Prepare to stay on track at restaurants by ordering smart and looking up menus ahead of time. Those with diabetes may consider following a low calorie diet to not only lose weight, but potentially reverse this chronic health condition. Traditionally, diabetics are trained to count the carbohydrates they eat at each meal (30 to 45 grams) and snack (15 to 20 grams) to gain control over blood sugar regulation. However, a low calorie diet or very low calorie diet (VLCD) may be another useful strategy for diabetics if used under medical supervision. Researchers conducted an 8-week study of 30 people with type 2 diabetes following a VLCD (624 to 700 calories per day from 3 nutrition shakes and non-starchy vegetables). The study found that diabetic remission was achieved for at least six months in 40% of participants who responded to the diet (2). Some argue that what is truly beneficial is not only the calorie reduction, but the reduction in carbs as well, also known as a low carb diet. It certainly seems a viable option as well. Keep in mind that medication and insulin requirements for diabetics following a low calorie diet can rapidly change, so it’s vital to regularly check blood sugar levels and notify your healthcare professional about the diet. Summary: While diabetics typically count carbohydrates, they may also consider controlling their calorie intake to improve blood sugar and lose weight. 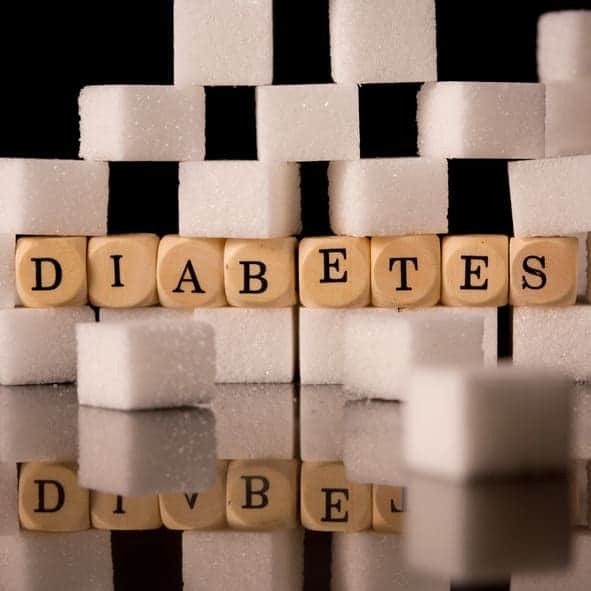 Diabetics should keep close tabs on blood sugar changes that can result with caloric restriction and rapid weight loss. Some people should avoid following a 1,200 calorie diet. If you’re attempting to build lean muscle mass, a low calorie diet will likely take away from your goal. It’s vital to consume enough total calories, protein and carbohydrates to gain extra lean mass. Additionally, high-intensity and/or high-load strength training requires you eat extra calories to keep up. Restricting calories may put the body into a catabolic state, in which body tissue breaks down rather than builds up. Larger men have higher calorie needs to support their body’s nutritional needs. Large men not only have faster metabolisms than their smaller or female counterparts, but they may also have an increased need for specific nutrients like protein, fiber, vitamins and minerals. Excessively restricting calories makes it unlikely that this population can meet the nutritional demands of their body, leading to potential nutrient deficiencies. Larger individuals that require more calories may want to try the 1,500 calorie meal plan instead. If you have any kind of eating disorder, avoid going on a 1,200 calorie diet. Calorie restriction and tracking often perpetuates disordered eating patterns. 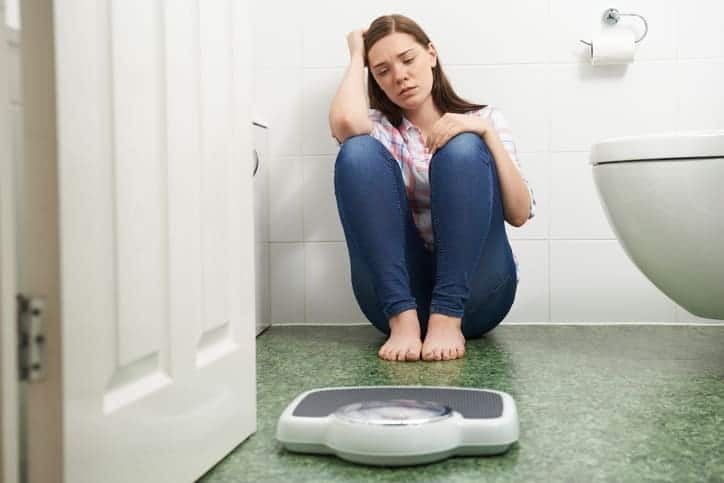 It can cause hyperfocus and obsession with food, adding fuel to the already controlling behaviors exhibited with eating disorders. If you’re malnourished and have any sort of nutrient deficiency, then a 1,200 calorie diet is not the right fit for you. Malnourishment can result from poor food intake or poor nutrient absorption. This may be the case if you have celiac disease, inflammatory bowel disease, cystic fibrosis or gastroparesis. Talk with a healthcare professional to figure out an appropriate calorie level to support your needs. Summary: The 1,200 calorie diet is not for everyone. Avoid following it if you are building lean muscle mass, a large male, have an eating disorder or are malnourished. 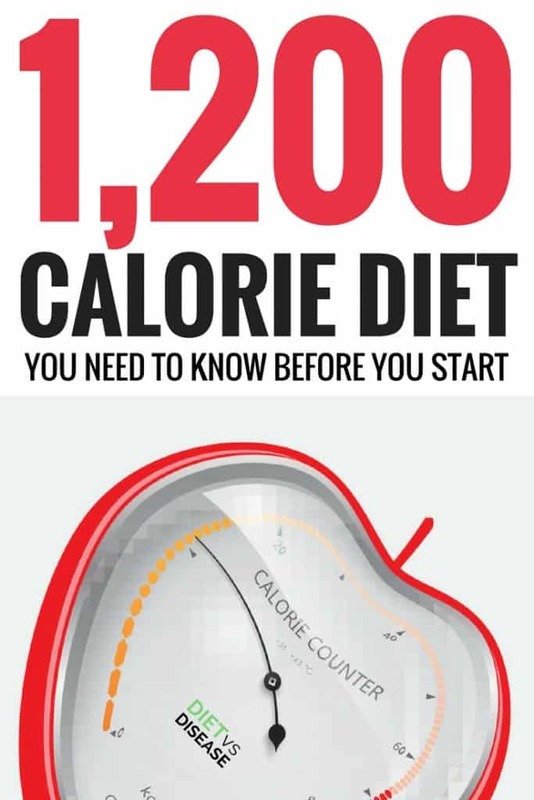 Ready to try out a 1,200 calorie diet? The 1200 calorie is an energy restriction approach to weight loss. Rather than restricting a certain type of nutrient or food, it focuses on a total calorie restriction (much like intermittent fasting). While calorie deprivation certainly promotes weight loss, this approach is not for everyone. Particularly avoid this type of diet if you are looking to build muscle mass, have an eating disorder, require a large amount of calories (i.e. larger men), or are malnourished. If you desire a quick and potentially short-term weight loss strategy, try out this diet using the meal plan outlined above. Track your calories to ensure you’re hitting the daily energy goal. Just keep in mind this is not an eating pattern you want to follow in the long-term. There are plenty of more sustainable weight loss strategies you can implement here.